Conjecture Views: We are PUPILS of TIME and ILL-USE-EYE-ON. We are PUPILS of TIME and ILL-USE-EYE-ON. The Arrow of our lady has been installed in the middle of the 1800. 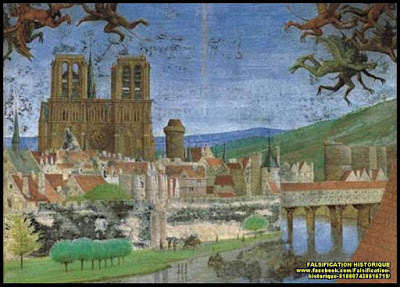 S Gold it is visible in the manuscript "book of hours of étienne chevalier" by jean fouquet dating back to the 1400. S.
Notre Dame built in the 1800s?! Once upon a TIME, or TIE ME, shakes PEER👀 once WROTE... “All the world’s a stage” and a STAGE is a SPELL, as in a spell-in TIME. Do we live on the Temple of SET, like a stage set, and what we beLIEve between our ‘temples’ is what we’ve been taught to beLIEve by the AUTHORS and PEERS of AUTHORITY, by ROTE/WROTE ie, repeat, repeat, repeat? What are we PEERING at? Do we really know what A PEERS before our eyes? Let's GOOGLE, or GO OGLE. WELCOME TO THE LAND OF TIME WHICH HAS USED THE SYMBOL OF A CIRCLE WITH A DOT AT ITS CENTRE ⊙ SINCE THE YEAR DOT. Are we are UNDER a SPELL? Lost at SEE by the pirates of piracy? 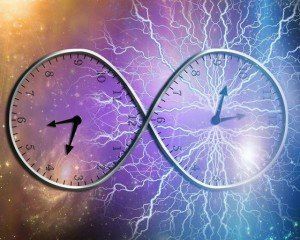 What is time but the recording method of AQUA SONAL super SONIC ELECTRO MAGNETIC DEN CITY and the perception of light and electro-atoms or IONS of EMITING FIELDS or FEELEDS. 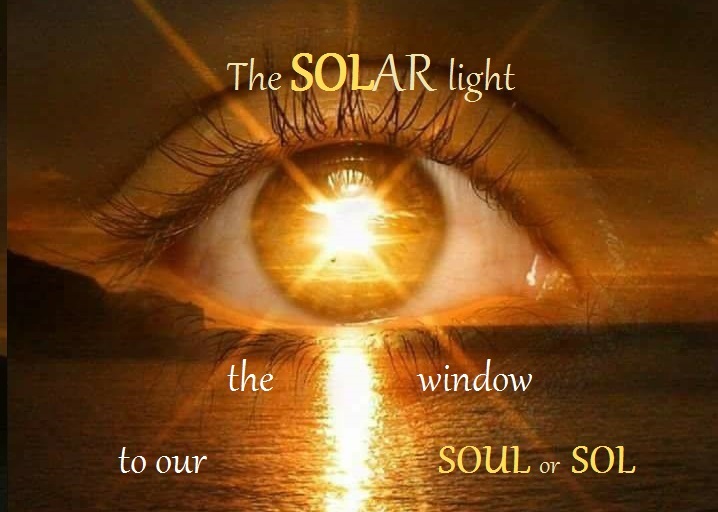 Especially our FIELDS of VISION which need sunlight in order to perceive anything. The circle with the dot in the centre is a sun symbol and we may have to play DOT-to-D⊙T in order to REAL EYES the REAL LIES. The Cestui Que Vie Act 1666, meaning ''LOST BEYOND THE SEE", was an 'act' swept in by Parliament during the great fire of London. It means that every single person born with a birth certificate from thenceforth was considered dead on arrival... and the dead can't see. We have been under a spell, hypnotised, mind controlled and deemed to be as good as dead for what APPEARS to be a very long time. DEATH is pronounced DEAF in English Cockney and Cockney was once the language of the elite. There are 24 hours in a day. Symbolically 2 + 4 = 6, and 3 x 6 equals 24. 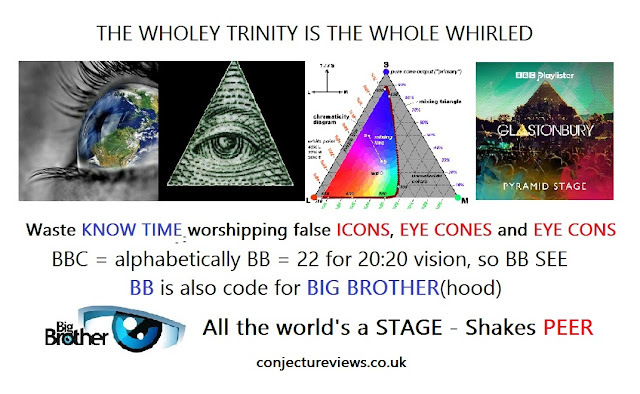 Is this the holy TRINITY ▲ PYRAMID or PEER AMID of 666 which A PEERS before our eyes? 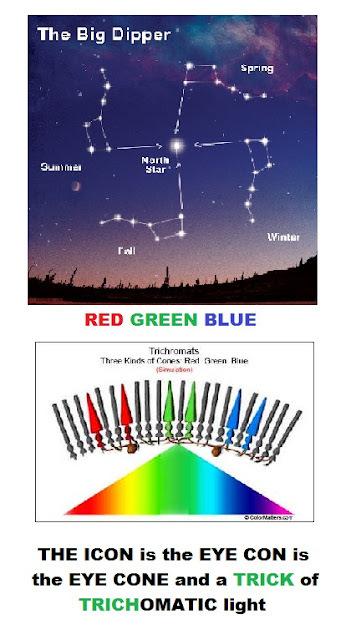 Our conical▲eyes, that is. We are trained clock 'watchers' clocking time and WATCHER SEE is WATCHER get. Be careful how you $PEND your time cos that eye is on our money. The magic numbers 3, 6 and 9 are the conical angels on the clock too, each containing THREE 5 minute conical sections. 5 x 3 = 15 which equals 6 and 60 minutes makes one HOUR around the c-lock. Everything about time is divisible by THREE! Are we blindly lost in the WAKE of the big SHIPS at SEE? Are we A-WAKE and WORSHIPPING time, 'locked' in a 12 (1 + 1 = 3) hour DAZE? Time, after time, after time? Becoming WEAKER every WEEK? $PENDING our precious time and money on other PEOPLE'S, or PEEP HOLES, business when time is PENNED (with black ink aka the PRINTS of DARKNESS, not the Prince of Darkness) and PENDING. TIME reversed is EMIT and time is an ILL USE of IONS, or EYE ONS and an ILL-USION. It's an ill use of keeping our EYE ON things. We live in a O continuum. The OZONE, OZ ZONE, or O ZONE. A place of OS-MOSIS. There is no past, no future, just memory and dreams and EYE DIAS or IDEAS and when we are asleep that time does not exist. DIAS means 'GODS' and DAYS, or DAZE. 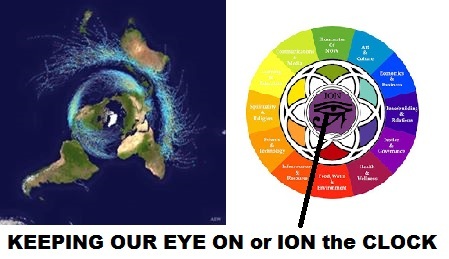 An eye, or O is a DISC, or a DIAL, and we have been DISCONNECTED from any true DIALEC-TRICK light, therefore, we can no longer DISCERN what ISRAEL and what is not. We are lost wondering and wandering in WONDERLAND and 'Israel' is in charge of what is "disc covered". Our IDEALS are really EYE DEAL$ and it is easy for the elite to terrorise us, or TERROR EYES us, via the daily MEDIA. An idea, of course, is a VISION. 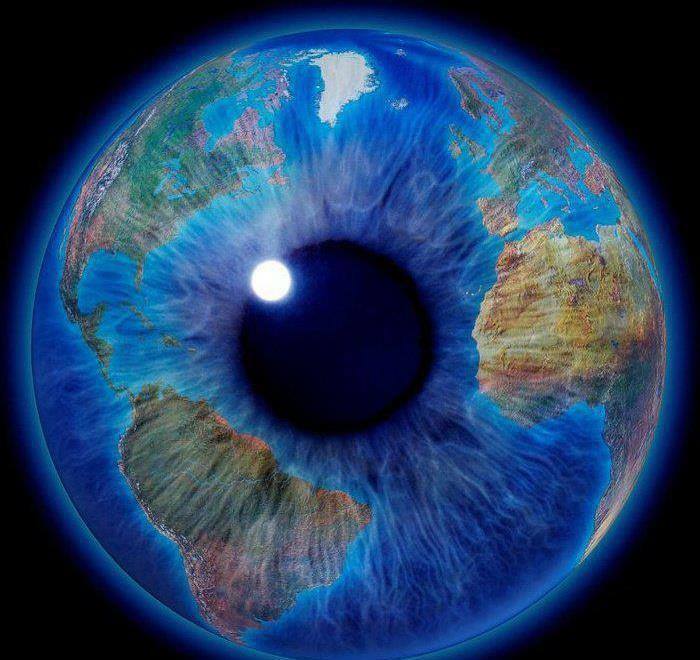 For we are PUPILS and EYE 'GODS' who create time by believing everything we SEE. 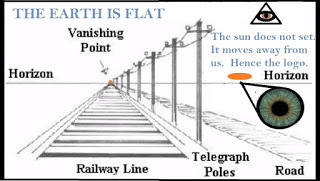 This has been known since the "beginning of time" itself by the elite time lords of the 'EONS'. It is the READ SEE where everything they WRITE becomes RIGHT. We need to do more RE SEE ARCH or research. where all the ROADS or 'strands' lead. Are we 'stranded'? 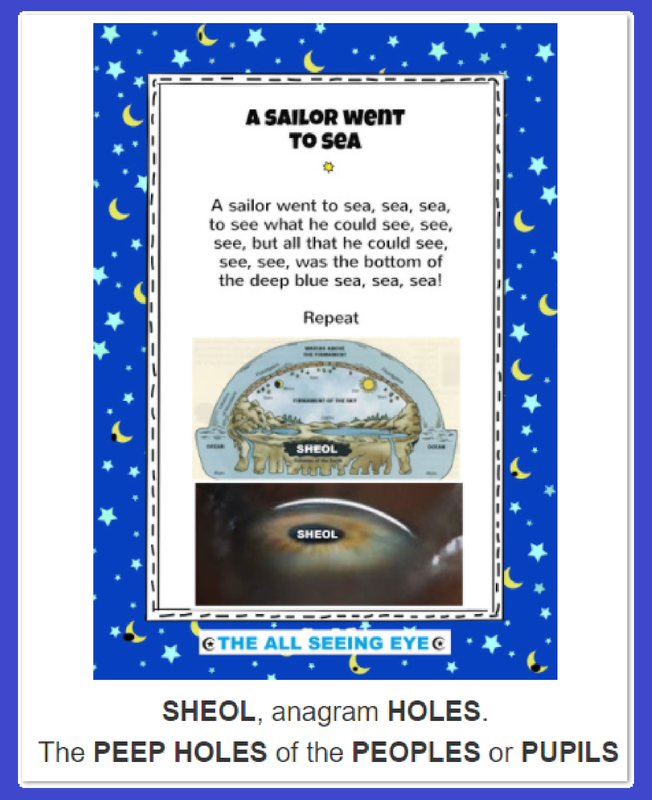 As 'pupils' at SCHOOL, SHOEL or SHEOL, the UNDER whirled and the deep blue SEE of our subconscious, we are OF-FISH-ALLEY forced to 'tell' the time and to remember and WRITE dates. We are made to UNDER stand this told to keep our eye on the clock. Sheol is an anagram of holes. The black holy, holey holes of our CONVEX arched FISH eye lenses, the WINDOWS, DOORS and gates to our SOULS, SOLES or SHOELS. What we see depends on what we are shown and "what we see is what we get". When we 'get' something, it means we see it fully and clearly. However, just as in Plato's DARK ARCHED CAVE we cannot see the puppet master's strings through the CONCAVE dome of the inner ARC of the eye. and said like a British Cockney ... "it's idden innit!". The ID is the EGO or identity - the ID "entity". The EYE DENT of the black hole pupil. 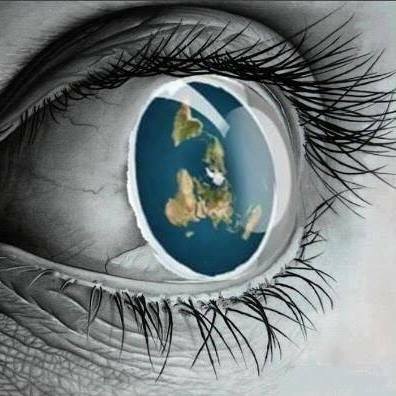 In everyday speech we say I or EYE many times a day and the phrase "I see!" can be used as an expression of 'getting it' or understanding the whole picture. We also say I SEE this and EYE SAW that. 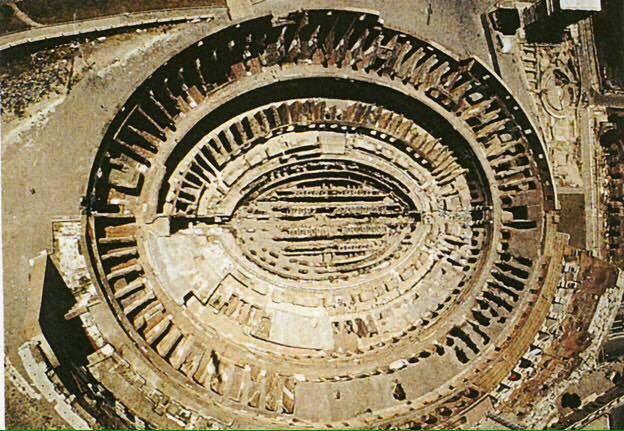 I might for example say, what an EYE SORE those stone cold coliseums are and what a waste of time and agricultural space. Time to undo 'living 'the dream' of sleepy, sheepy 🐑 time. As we are learn not to 'spell' at school the 'new whirled' SETS-UP for the FOURTH REICH or WRITE. 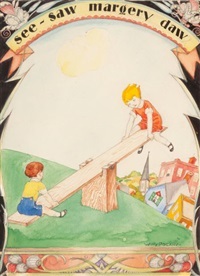 One of pure SEE SAW Margery 'door' (an opening, hole or aperture) fantasy and friction. Seeing is BELIEVING and there BELIES the time trick! 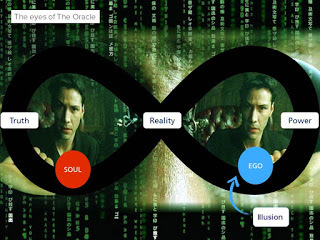 MATRIX means MY TRICKS and SEE SAW is WAS IS in re-verse. This is the Age of AQUA-RIUS and the age of missed MIST MESS-AGES being sent to our MISTY watery cloudy EYES via i-CLOUDS where all is not what it SEEMS because everything is 'mysteriously' spelled in CODE READ. It has always been a matter of 'arty' artificial intelligence. It's all ARTY FISH ALL and AI. "Welcome to a whirled of pure imagination...". from the KING and I or EYE movie. The WHIRLED WHEEL or TOR, TORAH. ZION is an anagram of IN OZ where the one-eyed man is KING in the land of the BLIND ie, this KING-DOM. The 5 sensory *KING DUMB of Os, or OZ. 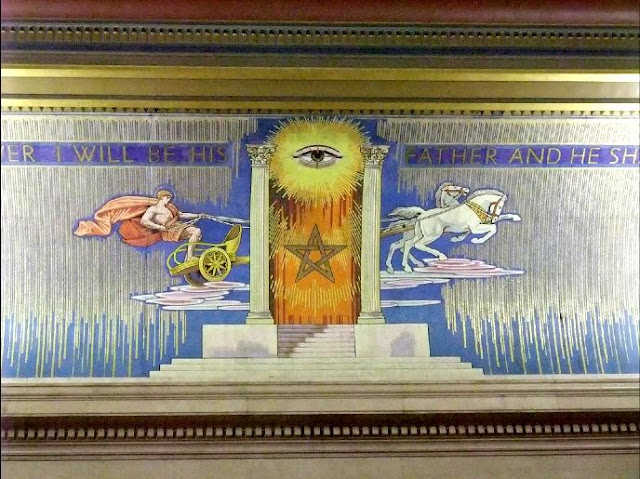 The Wizards of OZ, also known as the Scottish RITE/WRITE Freemasons, place a ceremonial dated CORNERSTONE, called a TIME CAPSULE, at everyone of their masonic SITES, or SIGHTS. Fooling us via the CORNEAS-TONE or the CORN EARS TONE which separate the wheat from the chaff. The dated CAPTION is a logo and logos means the word of god. This is what is known as hypersigil magik and it works on a quantum level. They are FREE masons, afterall, living on the SCOT FREE time of zero, zilch, nada and SCOTCH MIST. Right under our NOSES and GNOSIS the CAPSULE 'captivates' and CAPS YOU ALL, capturing and encapsulating the idea of time passing us, thus REINFORCING a LINEAR timeline. We are its CAPTIVES. 42 is the number with which 'God' creates the UNI VERSE in Kabbalistic tradition. With some wizardry reversal that means 24. The CAPTAINS have the REINS on all things and therefore REIGN over us because they can RE IN FORCE time. 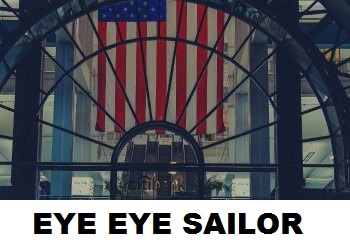 EYE, EYE CAPTAIN! Time is EMITTED from the Wizard of OZ's MAGNETIC North Pole. Time is money (green-backs) to the rich MAGNETS, MAGIS and MAGICIANS, for there lies the GREEN MAG-NET-TICK and 'magical' TIMES SQUARE COURTYARD which EMITS our rotary TIME. This place is called the ARCTIC, or ARC TICK, as in TOCK. These magis deal in our CURRENCY and CURRENT SEE. To be PENNED is also to be CAUGHT. 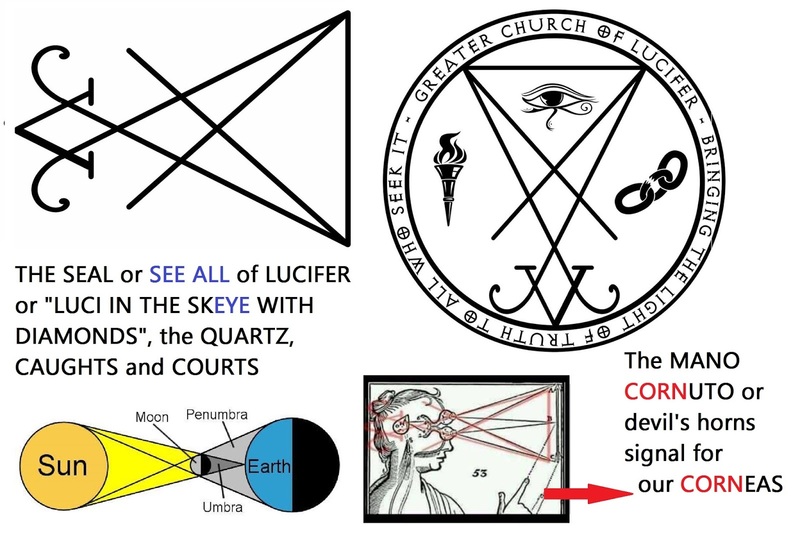 The EYE is the CHRYSTAL (christ all) MAZE. The QUARTZ (CAUGHTS) YARD of PAN'S labyrinth or PANDORA'S BOX. In other words GREEN-WITCH 'MEAN' TIME. Mean time is right near Scotland or SCOTLAND 'YARD'. Home of the SCOT FREE. SCOT spells TOCS in re-verse, for TICK-TOCK time. A times square (✖◼) capsule can be made to 'build up' an illusionary HIS STORY of falsehoods, like a BILDERBERGER. We are caught in and 'courting' time, in A-MAZE-MEANT. The first thing the Freemasons needed to do to complete the time trick was to build big 'cuckoo' clocks in their town squares and plant CROSSES 'a-cross' the earth. Knowing that our eyes had to PAN in on these PANORAMAS on a daily basis made sure to RE-MIND us of dead 'lines'. 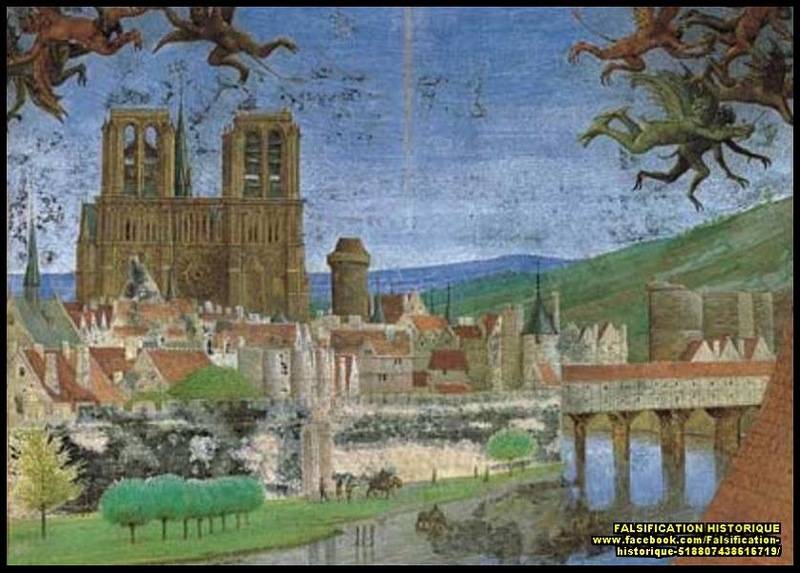 These 'tall fairy storeys' of Babylon with its alleged high Tower of BABEL, or BABBLE were made by the PHARISEES or FAIRY SEES. Here the art of the FOE, faux, PHOENICIAN PHONETIC spell binding, SEAFARING wizardry began and with it our NET-WORK of mock dates and mind numbing NUMBERS. Given to us by the holey GHOST WRITERS and all ARCH-HIVED for us in HI-STOREY books, like the BUY BULL that TAURUS or TORE US apart. These are the MERCHANTS and RETAILERS, or RE-TALERS. HISTORY is the I or EYE STORY, as HI is really I or EYE because in Phoenician the letter H is always silent. 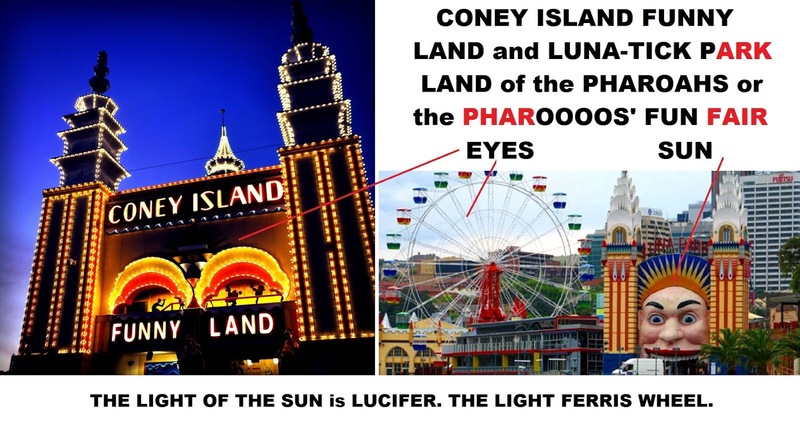 HIGH STORIES and LEG-ENDS (yeah, pull the other leg) manufactured by a priest-hood of 'SAINTS' (ST means SANTOS or SATAN) and hood-lums who catch fish with their NETTS on this PLANET, PLAN IT or PLAN NET of phony CONEY ISLANDS or EYE LANDS. These HISTRIONICS are quite HYSTERICAL in fact because we can be NOWHERE and NOW HERE at the same time in an eternal nevereverland. It is no mistake that NEW WHIRLED ORDER is an acronym for NWO, which 'spells' NOW, OWN and WON, because a 'spell' is A-BOUT of time on this MAGI-C ROUND-ABOUT. It's all about KNOWING this, or NOWING this. If you know about time and are a SEER or Cr, you've WON and become 'the ONE', or the WON with its eye atop the Freemasons' pirating pyramid scheme. 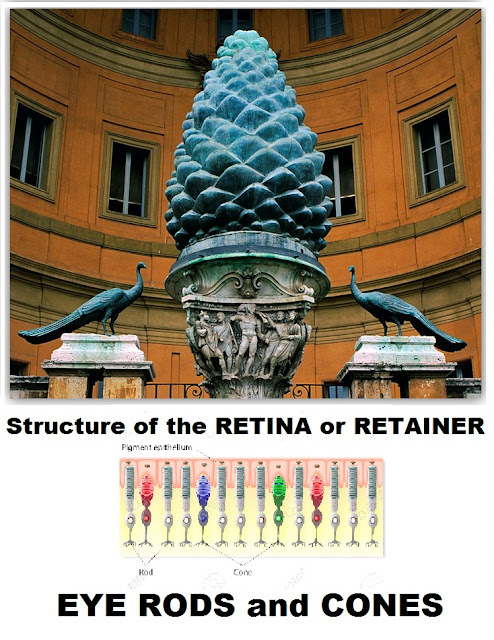 A pyramid shaped like our triangular EYE CONES. A one-eyed PIRATE who is very C-LOCKWISE. He's ICONIC! 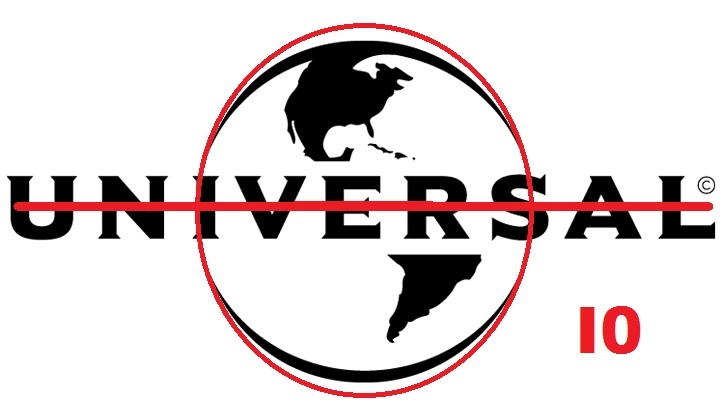 UNI means ONE for the UNI-VERSE-ALL 'god', or 'dog' in reverse, of the 'UNIVERSE'. This WISE GUY knows that it's always O clock. Be as WISE as the SERPENT. The serpents who write the DOG-MA and TENETS or TEN NETS. TEN is NET in re-verse on this PLAN NET. We've been EYE-JACKED, not high jacked! Ask one of the "free" MA-SONIC ministers at No IO Downing Street, or someone in the UNION of JACKS, or one of their ASTRO-NAUGHTS or 000Z, or Universal PICTURES even, they'll tell ya the truth... not! This is the land of OZ and OZ-MOSIS, aka Moses and the TEN commandments and the parting of the READ SEES. VERSES written on STONE and plucked from the aether, or OZ-ONE. Monkey see, monkey do! Well they tell us we originated from 'apes'. Satan, or Saturn, has an O around it and Satan, BEAU or BEL (ring ring) is known as The Great ARCHITECT of NOAH'S ARK or KNOWERS' ARC, and FATHER TIME. We are CAUGHT here, stuck in a never ending time loop. We are in COURTSHIP with THE FATHER, or PA for our PARLIARMENTS. 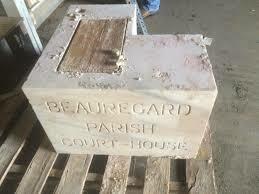 This is the PATRIARCHAL PARISH 'mean' time of BEAU REGARD (above), which means the BOW SEE. A BOW is also an ARCH. An ARCH made by the architects. 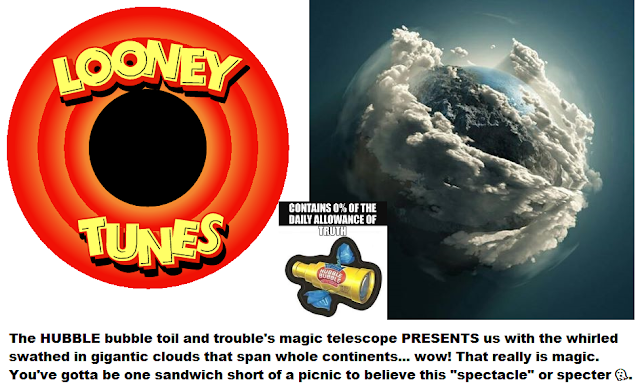 And, they're running O 'rings' around us with 'black hole' nonscience because a BEAU is someone we COURT. Etymologically speaking, OS means 'divine protection' or 'a GOD'. Like the ancient god OS-IRIS, or another name for 'God' which is THEO or THE O. THEO means THEORY and we don't know WHICH theory is WITCH. Are we of SOUND mind? The CORN is also the MAIZE or MAZE. Time is literally SET in STONE, like the pro-verbial SWORD in the STONE. King ARTHUR, or King AUTHOR, was set up and OPERATED by the SS secret society MASONIC orders of the OCCULT or the OCULUS. The KNIGHTS TEMP LIARS, or the 'inner circle' of the O CULT, know that time is all in the eye of the beholder and that there is O time. OH? Oh yes, they can AUTHORISE any old script(ure) and make it appear AUTHENTIC.and 'novel'... A RISE SIR 'LANCE' A LOT of CAME A LOT! Behold! We are BEHOLD, BE HOLED and BEHOLDEN by SITES and SIGHTS. The ring of the eye is very impressed with worn down colloseums set IN FINITE ∞. The truth is - it's the same day everyday with different TEMP-ERA-TURES and CLOUDS. The 'Order' of the Templars can pre-order or pre-ordain whatever they fancy because they are the EYE MAGIS of the TEMPLE of SET who fake IMAGES that feed our IMAGINATION or I'M AGING NATION. These DAYS, or LATELY, it seems we're more DAZED than ever on the TEMPLATE of 8 with its dates, dates, D'8s. It's a FORMAT, or 4 MAT, and the magis of the MUSIC industry know how to create a sense of past eras by frequently changing the musical TEMPOS and TONES (link). 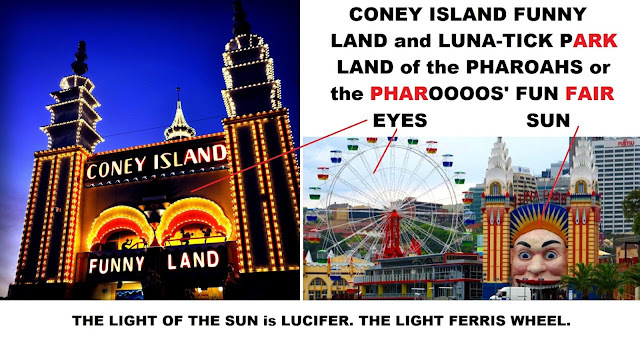 The HORSE/HORUS and UNI-CORN represent our HIPPO-CAMPUS (the D'ARK room, or underworld, where light is processed by the "the black sun", or pupil), thus we are hyp-noticed and taken for a ride in "time" on the chariots, or ☪HAR RIOTS, of the ARCHONS. The unicorn is the SEAHORSE but what can we see over the HORIZON with our eyes on RODS? Are we under HIP GNOSIS, and too busy WORSHIPPING pirates and WORSE HIPPING ourselves in the process. These ARC 'cons' are having an AR☪H RIOT at our Xpence. Aka, The Royal ARCH CLUB of ROME or ROAM. The old mystery schools, or "my story" clubs of never-ending unsolved MYTHRAS of WONDER, WANDER and MEANDERING. You see, a 'club' is a stick, a ROD, or a WAND. 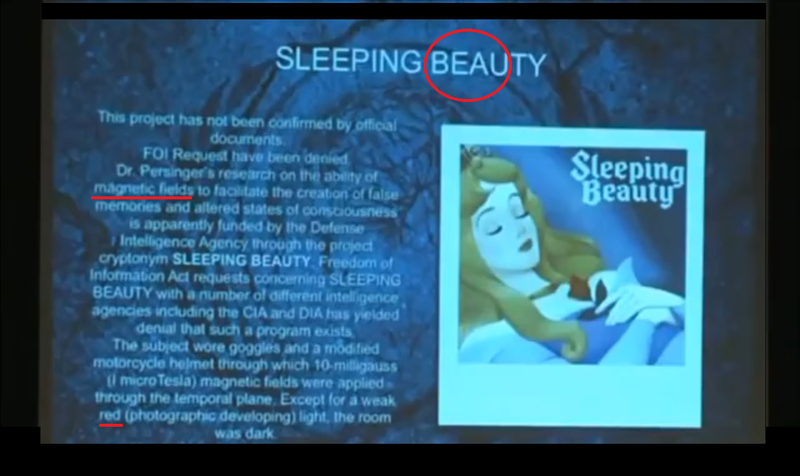 Time is faked by the ROTATION of sky spheres, HAARP weather control and the forcible ageing of the physical body via hormones and microbots that live within us (see video below). Everything becomes 'weathered' here under the 5* senses and elements of the EATHER. "With every season TURN, TURN, SATURN." We really are 'under the weather' 4 CAST. 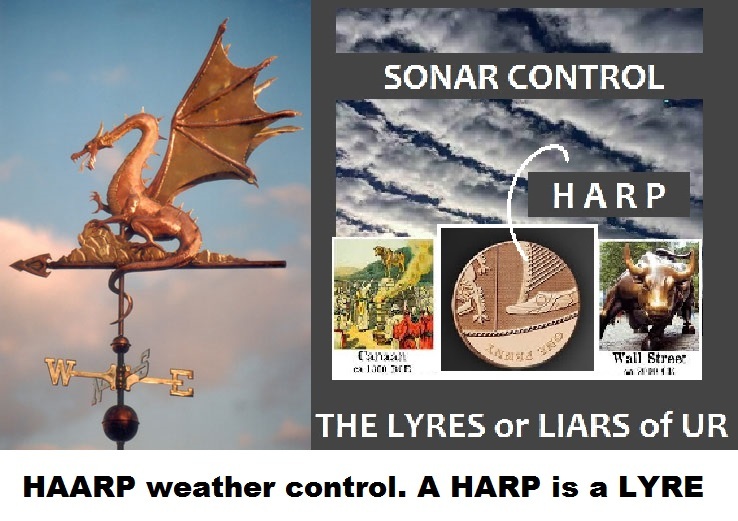 We feel it in our VEINS from the WEATHERVANES and in 'turn' it affects our TEMPERAMENT. We become 'seasoned', like a fine VINE or VEIN, and 'weathered' by the SEE SON'S 'PRECIPITATIONS'. The Freemasons have 'cast' a spell over their black and white checkered FLOORS. Doesn't time DRAG ON sometimes? T for TIME and time for ✞. HE who BREWS the story makes history happen - like the HE-BREWS. He/she is a long "taled" fire breathing dragon, puffing out "wind" and "hot air". Puff the magic dragon lives by the SEE, remember? "TIME for a BREW" in England means time for a cup of ✞ea. This British TEA TIME tea ceremony occurs at 4 o'clock in the afternoon. Now, this may seem very co-incidental and quite baffling at first, until we shift our perspective a little and DE-CYPHER the code. For instance, a floor is a 4 sided STOREY of a building and to be floored means to be baffled. Those slippery puffed-up TORIES and historians are continually "baffled" when it comes to FORETOLD HISTORY, aren't they?! So, we could say that this is a STORY BOARD of NIGHT DAY, KNIGHT DAY and the 4 (square) SEASONS or SEE SUNS of the 4 CORNERS of the earth. The 'sun gods' always have a O halo over their head, don't they? A floor is a stage, like a theatre stage and to 'flaw' someone means to deliberately fool them. There is NO/KNOW/NOW time like the PRE SENT, we say, and PRESENT is an anagram of SERPENT. What we think is 'resent' is actually RE SENT. Time is indeed SET around the clock hands, one small and one large, making a ✞ at it's north pole centre. It's also got us chasing their TALES, and our own with so called NEWS, or KNEWS, that makes us red red, read and cross, CROSS, X and increasingly RE-SENT-FULL. Animals don't have this problem because they aren't constantly re-minded of a fictional and frictional past, based largely on hearsay, from the North, East, West and South NEWS NOOSE bullet ins. We're all ABOARD, or ALL ARE BORED, in Noah's ARK. What a WORLDWIDE WHIRLED 'spin' of spells we are under. The Brother's Grimm SLEEPING BEAUTY fairy tales are getting very BO-RING on the 'square' checkered BOARD. They have to be GENERATED over and over again for the new GENERAT-IONZZZZ. Change the record! We're WRAPPED-UP in a time WARP and SPELL-BOUND. Wrapped-up like a 'present' with a BOW or ∞, or an an egg timer on its side. Christmas, New Year, Easter, Halloween and repeat... Monday, Tuesday, Wednesday, Thursday, Friday, SATURNDAY, SUNDAY and repeat. A whole circus PARADE or PA RAID of cyclical EVE-VENTS of 'hot air' venting and smoke OOOOO rings. An ERA is an 'EARER and a HEARER. Therefore, a hearer is PRESENT and HERE and not in a dream 'state'. A hearer is aware of every 'statement' and STATE MEANT. They can be kings of the 'GLOBE' - via the ear LOBE. SET or SEPT which is SEVEN in French. The IMMACULATE CONCEPTION in the GUARDIAN of E-DEN, or HE-DEN and the creation of EVE or EVIL. The MACULA an oval-shaped pigmented area near the center of the retina. The WHEEL of 4 TUNE is the same FATHER, or PATER, PATTER and PATTERN 'presented' to us year after YEAR and as time seemingly DRIFTS by we get FATHER and FARTHER away from the truth. That's bonkers and LOOPY, at best. Our PINEAL or PENAL gland is living a life "SENTENCE" in a "PLAY" - ON WORDS - ON-WARDS ➼➼➼ indeed we are born ON WARDS, in harshly lit hospitals. A direction 'penned' by the ARCHER'S ➼➼➼ BOW and we were told that the PEN is mightier than the SWORD. The same 'lines' in their scripts create the constant CON-SCRIPT-ION of ONWARD CHRISTIAN SOUL-DIERS MARCHING into WAR over and over a-gain for the OLIGARCH WARLOCKS. The AUTHORITIES are the AUTHOR$ of our repeated death cult MEMORY-ALL daze. "That'll get 'em weeping in the AISLES or EYE ALL$ and sell good 'copy' in the DAILY NOOSE paper. They can't HEAR! The preacher's gonna reach ya. Do you 'copy'? Everything is 'speculative'. Christmas is the false light 'spectacle' featuring the 'specter', or the "ghost of Christmas past" who was originally named FATHER MITHRAS. We celebrate the arrival of this IN-VISIBLE man called $ANTA, or $ATAN, on Christmas EVE (nevereverland) and Christmas DAY which happen to fall on the 24th and the 25th of December respectively. This corresponds to the clock resetting after one whole day or 24 hours. The same reset occurs in the month of CAPRICORN. Interestingly, these numbers, alphabetically, are the letters X and Y. The XY chromosome of the BROTHER-HOOD-WINKERS, the SUNS or SONS, the MASONS or MY SONS, men or FATHERS. The devil card in the TARO/TOR/ROTA deck is attributed to the letter 'AYIN, which means an EYE, and it refers to Capricornus in the OZ ZODIAC. The biblical men of REKNOWN or RE NOUN and RE KNOWN have MANIPULATED this reality for their own profits via PROPHET$ - who can 'coin' a phrase. Wink, wink! For this is the time of year when the 'new male ELECTRICAL SUN DIAL' rises again after three days and RE-SETS its cycle. This is who gives us our light RAYS/RAISE and to whom we P-RAISE. Hence, ''father" time and "there's nothing new under the sun", but I'm just THEORISING on THE O RISING. Isn't this LUCIFER too, the LIGHT BEARER? It seems men have elevated their status to SON GODS or SUN DIAS and given themselves halos and HAIL Os. What a great IDEA! 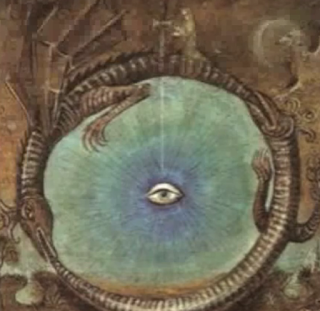 The sun symbol and the SEAL of SOLOMON, or SEE ALL of SOL-OMEN, is this ⊙, which looks like an eye. It's a monu-mental ARCH de TRIUMPH for the STONEMASONS. Their house of 'cards' will never blow down in the WINDS of TIME, or the whirligig of the WHIRL WIND. The 'watchers' never need to 'WIND' up their watch on their 'watch'. 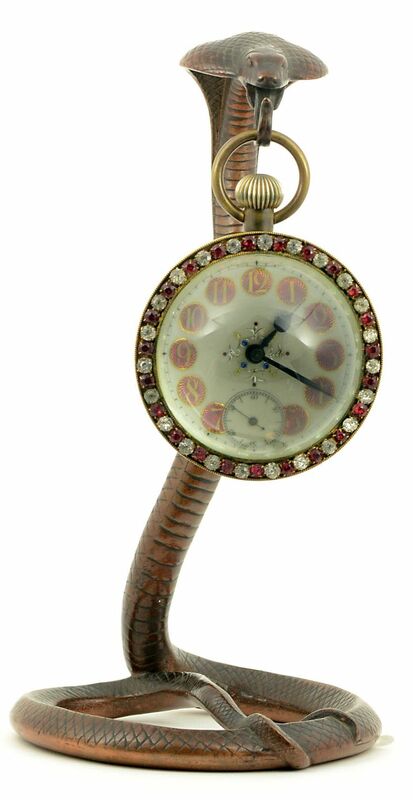 A watch is a LOOK OUT! CAESAR, the SEE TSAR knew about SEIZING the DAY and CEASING and FREEZING the icy I SEE moments, so let's do exactly that ourselves. Seize the day - CAPER DIEM. What a caper! He was the SEE KING afterall, and we have all the time SEEKING the truth in this whirled and the truth shall set us FREE. When you're a 'seer' you can chuck a couple of extra months and add a few extra HOLI-DAZZZE into the 360 degree 'magic circle' if you like. It's good BUSI-NE$$. We have Tunnel Vision, especially when watching TV scripts. A tunnel is an arched CONCAVE COVE, like a CRYPT or secret old CRYPTIC SCRIPT we may DISCOVER. For only the DEAD SEE SCRAWLS. Perhaps, this is the ARK of the COVENANT? 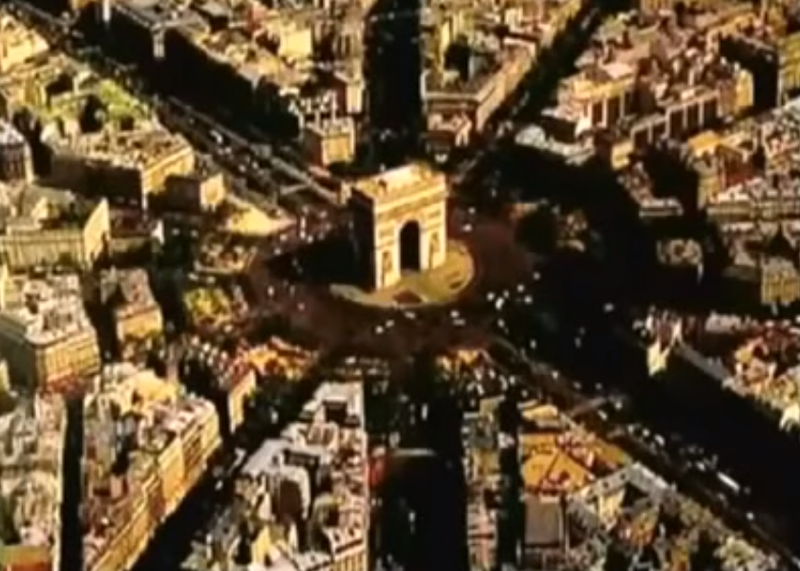 The art of 'bending' time and keeping us continually hypnotised and M-ARCHING forward? Time flies when we're having fun and not glued to the BOX SET watching someone else's IDEA of a fabricated storyLINE_________ or LIE IN. Thus time cannot be accurately quantified because it depends on what is being SEEN/SCENE at any O point of time. An ARCH is also a term used in acting, hence ARCH VILLANS. It is the rise or fall of the CHARACTOR or EYE DOLL and CHAR is an anagram of ARCH. You SEES, SEAS, SEIZE, CS, the snake tales can be very C-HARMING! Especially in the d'ARK under the ARC of the RE-SENT C-RE-SCENT moon phases. H'ARK! It's the AROMA of ROMA. 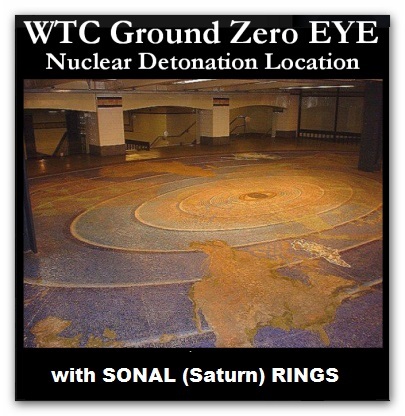 We are 'stranded' HERE if we cannot HEAR or SEE the spells APPEAR on this EARTH of G-ROUND ZERO. Therefore, we find ourselves "lost in time" and DISCOURAGED - DISC COEUR (heart) RAGED. Assault the eyes and ears with SWORDED historic images and bibble babble and you assault the HEART of the HERD and HEARD. Pictures tell a thousand words and we are lost at SEA like lost SOLES. O, pronounced EAU, means water. We're all a-wake in the mainstream because they have SEALED the deal with their wonder-us fishy tales. We'll never reach the top of the 'glass CEILING' through foggy glassy eyes if we cannot unspell what is GOSPEL or GO SPELL. Know wonder a FISH TALE CAP is sported by the ARCH-BI-SHOPS of ROME'S CAP-IT-ALL. 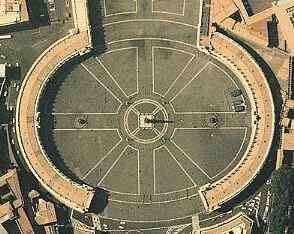 In PLANE SITE in the City of Rome there LIES a courtyard with an OCULUS. Built there for those with the eyes to see and the ears to hear. The cap, btw, can be a CROWN or a COURT jester's cap. 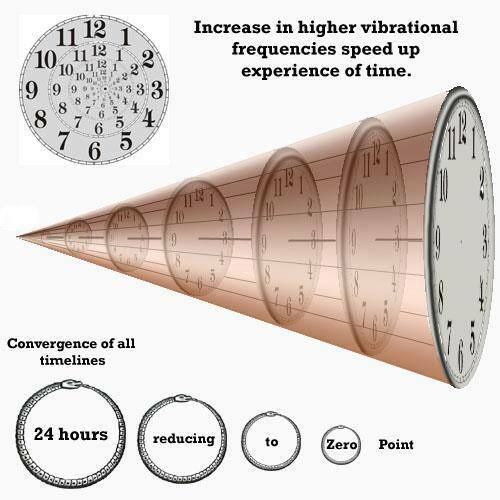 It is the crown of KRONUS and CHRONO-LOGICAL time. That's CONOLOGY, not chronology and "He's got the HOLE whirled in his hands...". His clock hands, that is, and we're being SOULED for a SING SONG of jingles and SLAY BELLS. We've been led astray by KRONUS' PAN PIPE and his 7 muscial SCALES. The serpent's 'scales' of justice, or JUST EYES with its 'pitch' forked tongue or double edged SWORDS. Why does SOPHIA, the goddess of PHILO-SOPHY and WISE-DOME, wear a blindfold and carry WEIGHING, or WAY IN, scales? Is she telling us about WEIGHT, or WAIT because "time weighs heavy" when we're in the d'ARK? REPETITION is 'the KEY' (as in sound) for PUPILS. They tell us that history REPEATS itself. It sure does! It REAP EATS/ATES/8s its own tale. It's SET UP that way, and a 'set-up' is a TRICK. 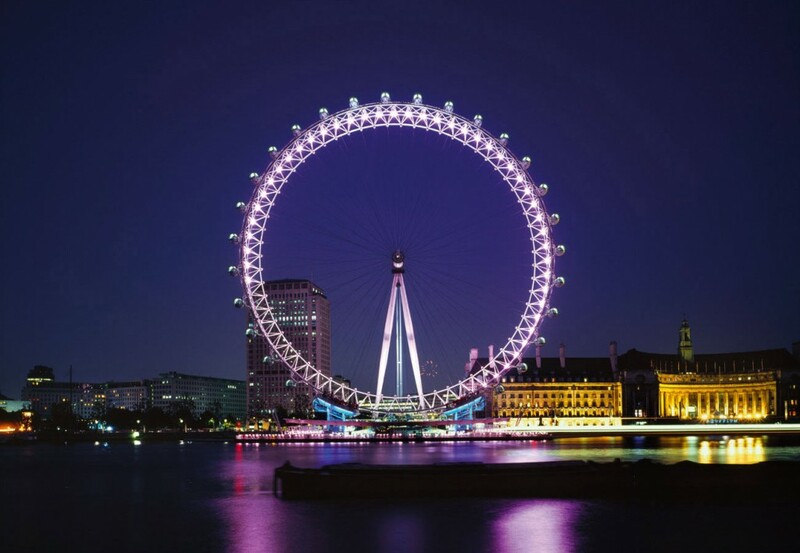 TIME FLIES on the seven day, seven arched REIGNBOW coloured wheel of the TEMP-LE of SET (here) but not on my 'watch'. What a load of (eye) BALLS! For the time "being" I'm clocking-off. In the 'mean' time enjoy that POP (father) CORN with the video. 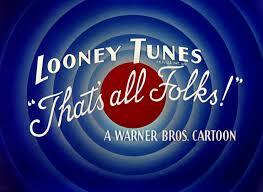 POP goes the weasel... that's a WRAP! The BROS do WARN us! Labels: We are PUPILS of TIME and ILL-USE-EYE-ON. The GIANT SION/ZION TREES of old have been PLANED down on this PLANE(✞) and quarried.